ROGER HALL is an HKC certified kettlebell trainer. He holds a master’s degree in education from the University at Albany. Roger has trained and been involved in fitness for 8 years. He currently lives in upstate New York where he opened a thriving kettlebell studio. 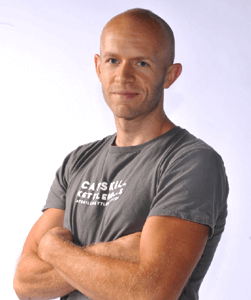 He is the author of the Body Sculpting with Kettlebells for Men and Tabata Workout Handbook.